Thank you for participating in Writing Our Future: American Creed. Like all projects of the Writing Our Future initiative, the American Creed project was designed by educators for educators as a way to provide teachers, librarians, and youth mentors with a content-rich pathway for publishing youth writing and media within the context of a national conversation. 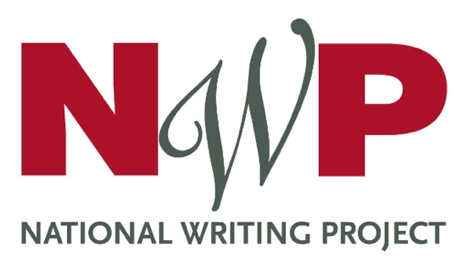 At the National Writing Project, we believe there is nothing like the opportunity to share and publish for a real audience as a way of improving writing and media-making. Social media and personal blogging have dramatically expanded the opportunities that young people have to publish their work, but these often come with challenges for use in classrooms or other settings. Writing Our Future projects were created to provide educators with a safe, COPPA compliant pathway for real publication to diverse national audiences within an educator-managed environment. All Writing Our Future project websites feature a common theme or prompt/s to spark youth conversation through writing and media such as video, audio, and images. Educators sign up to provide publishing accounts for the youth they work with and then plan learning opportunities to support those youth in creating and publishing their work. Youth compose, revise, and edit to create their piece, and when satisfied, they submit it to you for a final review and publication, giving you a place to converse with, coach, and support writers before they go public. Educators who participate in Writing Our Future projects are free to design and adapt curriculum and instruction around the themes or prompt/s in whatever way makes the most sense for their youth and larger goals. Every project includes an associated Educators Community where teachers and partners can share resources they have found useful and connect with others engaged in the project. All educator resources are open for your use and adaptation. Writing Our Future: American Creed is built around the PBS film, produced by Citizen Film and WTTW in Chicago. The film is freely available and you are welcome to show American Creed in your classroom, school, or learning center. You can stream the full film for free via PBS and find short clips from the film here. Educators can also arrange a public screening in their communities. The film features themes of American identity articulated by David Kennedy and Condoleezza Rice and expanded through the stories of diverse Americans engaged in community action. The five invitations to write are drawn from the substance of the film and represent different strands of conversation it examines. At every Site where youth are writing, one educator will start the process by setting up the Site and serving as Site Administrator. Site Administrators can invite other adults into the Site to serve as Group Administrators and can also manage their own Groups. Click on Sign Up Your Site. Fill out the form. Your email address will be your username for logging into the website. Check the “I’m Over 18 Years Old” checkbox and click “Sign Up Now”. Our support staff will review your request and approve it as soon as possible. You will receive an email once your Site has been approved. Once your Site has been approved by Writing Our Future staff, you can Log In to the website and manage your Site. You can create a Group at your Site by clicking on the “New Group” button in the blue toolbar just below the search button. Groups are usually a classroom or another activity that has a number of youth involved. You can also add other teacher administrator to your Site so they can add their own Groups. In the right column, enter the email address of anyone else (18+) you want to invite to be a Group Administrator and click “Send”. To invite youth to join a Group, you will see instructions and a code in the right column after you log in. You can share this code in the right column with any youth you want to register to this Group. Each Group has a unique code. We encourage youth to register themselves so they become familiar with logging in and are responsible for their own username and password; they don’t need an email address and can just create and use a username. As a film, American Creed lends itself to a wide range of subject areas and curricular goals. We encourage you to adapt it to whatever curriculum, goals, or interests make sense for you and your students. When your writers and media makers are ready to publish, their responses should address one or more of the five prompts, but no particular format or approach is required. We encourage you to support your writers in being creative and to personalize their work. For educators interested in what others have done with the film, we encourage you to visit Resources section to find resources and materials created and shared by other educators as well as American Creed partners. All Writing Our Future projects feature important elements of educator management. As the educator, it is you who sets up the accounts for the writers, allowing you to manage who is on the website, and it is you who finally publishes the writer’s work. In other words, writers can draft and revise privately as much as they wish on the website, but you are the ‘editor’ that finally approves the piece for publication. This role gives you the opportunity to review the piece and, if necessary, return it to the writer for revision. Relevance and appropriateness of response in terms of the purposes of this project and its diverse national audience. Tags that support the response in being found within a growing set of responses with tags (See suggestions provided to writers about tagging). Appropriate use of all media elements and citation of resources. Display name as per privacy concerns and permissions within your particular school district for student publishing (default is first name, last initial; this can be edited). Please see the Guidelines for Writers for details provided to writers. A PDF version is also available for printing and distribution.